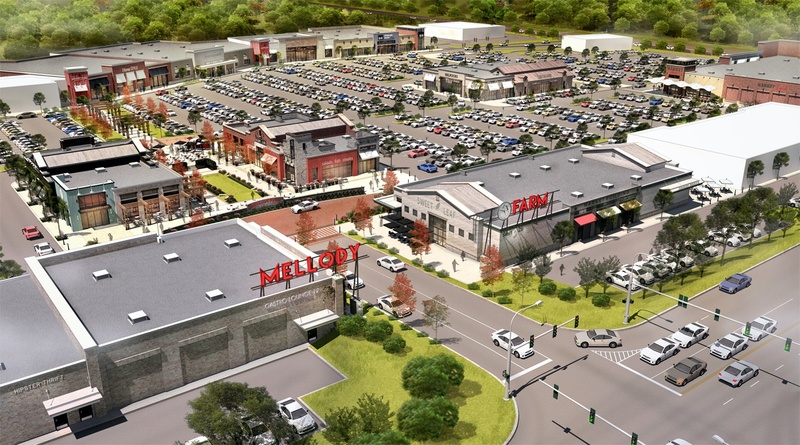 The news has finally broken -- Whole Foods Market is coming to Mellody Farm! With their unique build-out and high-quality offerings, Whole Foods Market was a natural choice to anchor our center. However, there is more to the story for this proposed development than many of you may know. Let us tell you more about the other aspects of Mellody Farm that we are the most excited to bring to the Vernon Hills community. These enhancements will be the result of many traffic studies conducted by us, the Village, County and the Illinois Department of Transportation. The juncture of these two state highways needs to function at a higher level of service than it does today, even after our project is built. 2) The shops: We have a game plan in mind for what local, regional and national retailers might be a good fit for the center. We can't disclose any additional names yet, but we promise to share our information as soon as the ink is dry! We're excited about what we can do with a property like this. Your suggestions, combined with our initial ethos for what Mellody Farm would become, have created a fantastic dialogue behind the scenes--we truly take all suggestions to heart. We really wish we could say more, and promise to have more exciting announcements. 3) Placemaking: For a moment, let's discuss what we don't want at Mellody Farm. We are addressing this with our merchandising mix, but we want to ensure that the experience here isn't just pleasant - it's downright delightful. Contemporary and sustainable urban designs that compliment an extremely walkable environment, combined with greenery and gathering spaces that invite you and your family (don't forget your dog) to relax, unwind, and socialize. Our goal is that when you enter Mellody Farm you feel like you have entered a completely unique place. 4) Dialogue: Our Facebook page has been an incredible source of crowdsourcing for information, ideas, and feedback on what we're working on. This is something that we want to continue as we move forward. Our goal is to have our Facebook page serve as the go-to source for retailer information, center announcements, special offers, and exclusive information for the patrons and neighbors of Mellody Farm. We have a good thing going, and we'll work hard to keep this relationship healthy!